Ps. I absolutely love her dress choice. 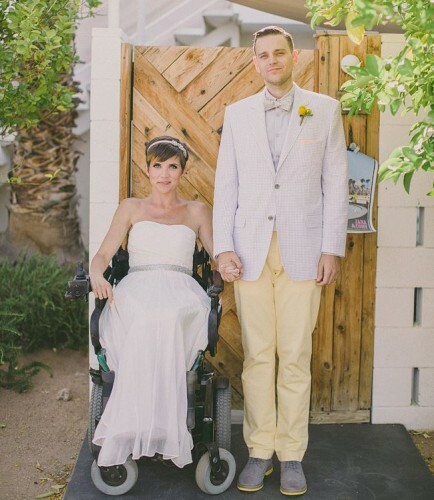 Strapless in a wheelchair can look so good. And even better news, the happy couple is loving married life.